After a surprisingly successful eight season run on HBO, Entourage has finally hit the big screen for the first time. For the uninitiated, the series follows movie superstar Vinnie Chase (Adrian Grenier) and his closest friends as they navigate through the ups and downs of a hyper-stylized, alternate version of Hollywood. In addition to the main players, the film also includes Billy Bob Thornton and Haley Joel Osment as co-financiers for the newest Vinnie Chase vehicle titled Hyde, which he chooses to direct and star in. Beyond the production of his movie, Entourage also features various other subplots of little consequence and an overwhelming menagerie of underwhelming celebrity cameos. I suspect director Doug Ellin’s intention was to make this feel like a “super-stuffed” version of a typical episode, which it does, but the results are largely disappointing. The show was a breezy and enjoyable enterprise in its first few years but it’s no secret that the quality dropped drastically in subsequent seasons. I had a difficult time overcoming the simple fact that these characters are getting too old and played out at this point to make a new outing with them feel fresh or fun. Those unfamiliar with the series may find enough new in Entourage to merit a watch but there’s not enough here to recommend for existing fans like myself. 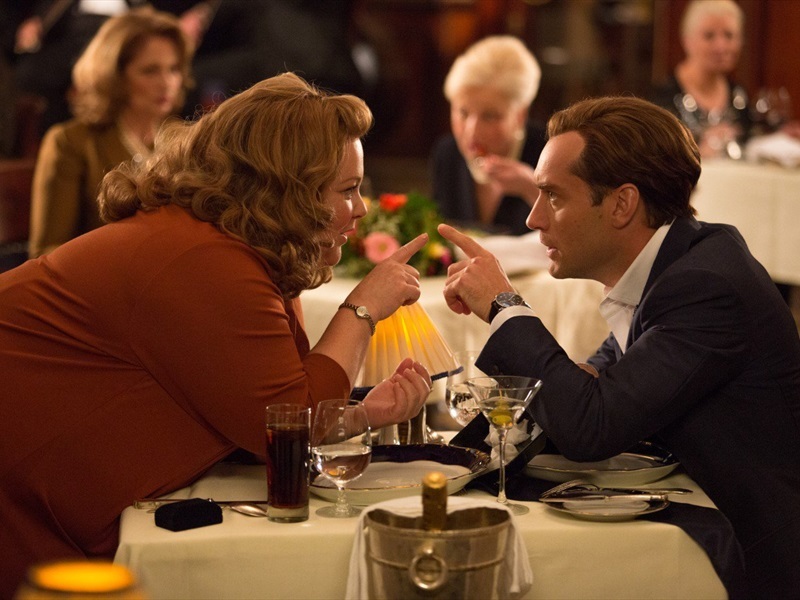 Melissa McCarthy and director Paul Feig team up for a third time in the wildly uneven but often amusing espionage spoof Spy. McCarthy plays Susan Baker, a CIA analyst who is promoted from her desk job at Langley to become a full-time secret agent after a field mission goes wrong. Her primary target is Rayna Boyanov (Rose Byrne) and the rogue nuclear weapon that is in her possession, as she also receives help (perhaps “help” is more accurate) from another spy in the field (a hilariously self-aware Jason Statham). Together, they doggedly pursue Boyanov across Paris and Budapest as Baker proves to be more resourceful than expected by her colleagues. It’s clear that McCarthy is giving it her all here and she does a great job of selling the movie’s funniest moments. My biggest obstacle was that her character became very muddled for me as the movie progressed. She’s characterized very well in the opening scene with Jude Law but this foundation seems to be forgotten around the halfway point when it turns into a contest of improv one-liners and insult humor. It still works on a certain level but it’s not as effective as it could have been if McCarthy had played a consistent character throughout. Factor in some ridiculously dubious action sequences, particularly one involving auto-pilot on a private jet, and Spy unfortunately comes up just short of hitting the mark. 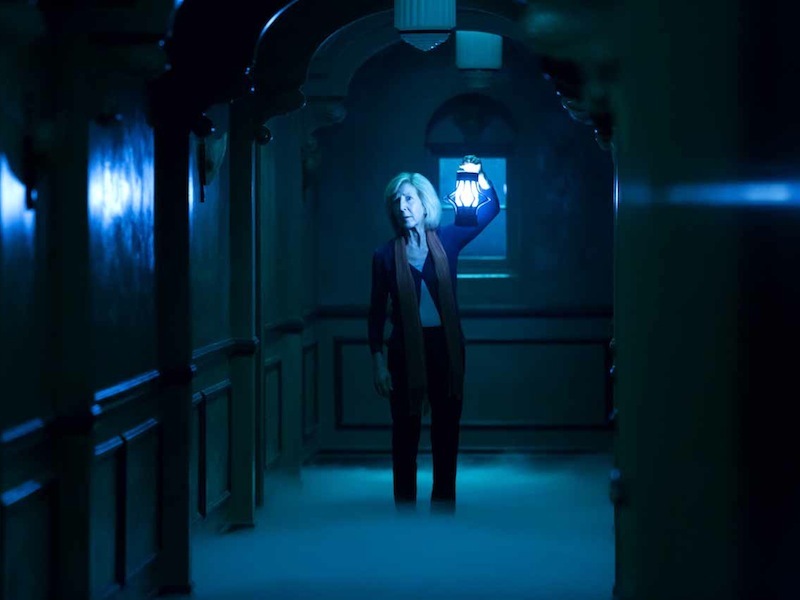 Actor/director Leigh Whannell takes over the Insidious franchise with Chapter 3, which actually serves as a prequel to the original Insidious film. Newcomer Stefanie Scott stars as Quinn, a teenager who recently lost her mother to cancer and reaches out to a psychic named Elise (Lin Shaye) in an attempt to reconnect. After her meeting, she begins to see visions of a decrepit man waving at her, one such occurrence leading to her to be accidentally run over by a car in the middle of the street. With both of her legs broken, Quinn’s hallucinations grow more severe as she discovers that the man seems to be a demon that has somehow attached itself to her. While this initially seems to be a new approach for this series, everything that follows is remarkably similar to events seen in the previous two movies, though not done with as much enthusiasm or creativity. The “Further” sequences here are particularly derivative, offering little to no scares in what should be the climax of the film. Of course, horror movies like this live or die on jump-scare factor and Whannell does his best to subvert expectations even within the rigid guidelines of the genre. Despite his efforts, Chapter 3 doesn’t offer enough new material for even die-hard fans to get excited about.